iowa state fair. | Anna Allen Clothing Blog: iowa state fair. Today felt like fall weather, but I'm still dreaming of summertime. It's Iowa, though, so hot weather will be back and as soon as it is, I'm heading to the lake asap! Hope you're having a good week. 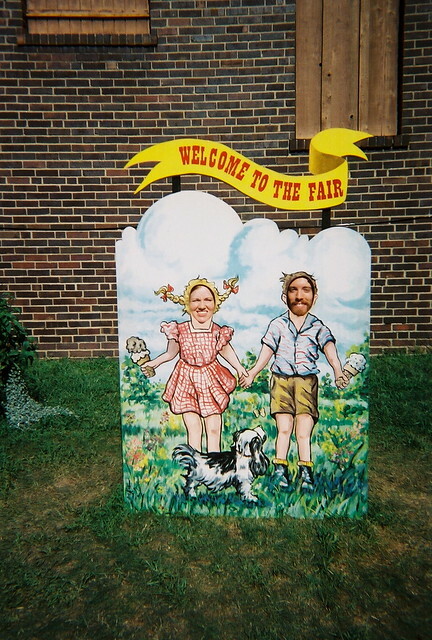 Ah, the Iowa state fair! I hope you ate lots of food on sticks. oh did i miss this photo ?! priceless !